Walter Henry Smith was a revolutionary firebrand and musician, active in south London in the late 70s. He is best known for planning the Marxist-inspired ‘Glorious Day’ with a small group of likeminded individuals, at the same time as making violent enemies of local gangsters. A charismatic man of action and an impressive orator he served prison time for stealing a Scorpion tank and driving it towards the Houses of Parliament. Smith eventually went into hiding to avoid a £6000 contract put on his head by the Welsh gangster Ronnie Lynch. 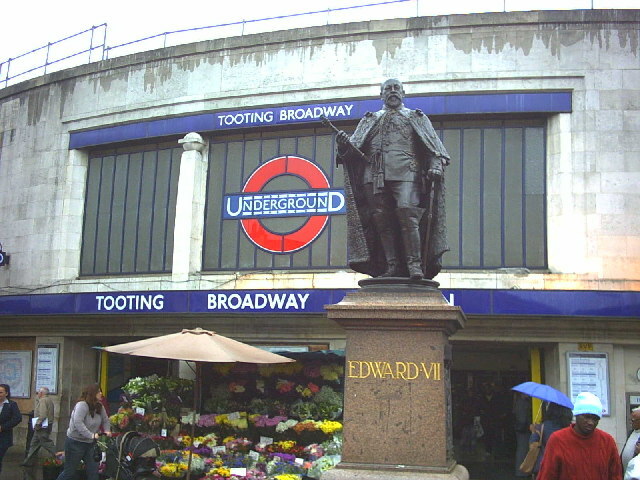 Smith led a Marxist revolutionary guerilla movement (inspired by the military theories of the Argentine revolutionary Che Guevara) known as the Tooting Popular Front (TPF). Their agitations involved kidnapping, a right-to-work protest outside the Tooting dole office, and a failed coup at the local council HQ – a partial success as a lift was taken over by the TPF for the people. During his time in jail Smith was interviewed by Valerie Singleton during which he outlined his plans for the post-Marxist Tooting. Like Thee Faction, Smith attempted to combine Marxist ideals with Rock ‘n’ Roll – under the pseudonym Duane Donervan. He has not been seen in Tooting since the 31st December 1980. It is believed he escaped to Italy. From their South London base, the TPF attempted impressive schemes to spark the revolution, from protesting at a South African rugby tour to kidnapping an MP, culminating in the liberation of a Scorpion tank with which to attack the British Parliament. The rallying cry of the TPF became enormously popular in Britain in the late 70s, and to this day remains incredibly evocative of the era: “Power To The People”. Another famous quote of Smith’s regards his views of the eventual end of his class enemies after the ‘Glorious Day’, to whit: “… up against a wall for one last fag, then bop, bop, bop”. Another inspiring quote of Smith’s is: “I’ve got battles to fight and Rights to right”. Tariq Ali – the left-wing historian, novelist, filmmaker, political campaigner, and commentator, who in the late 70s was coming to prominence for protesting against the Vietnam War, being a friend of Malcolm X & John Lennon and a leading light in the International Marxist Group. 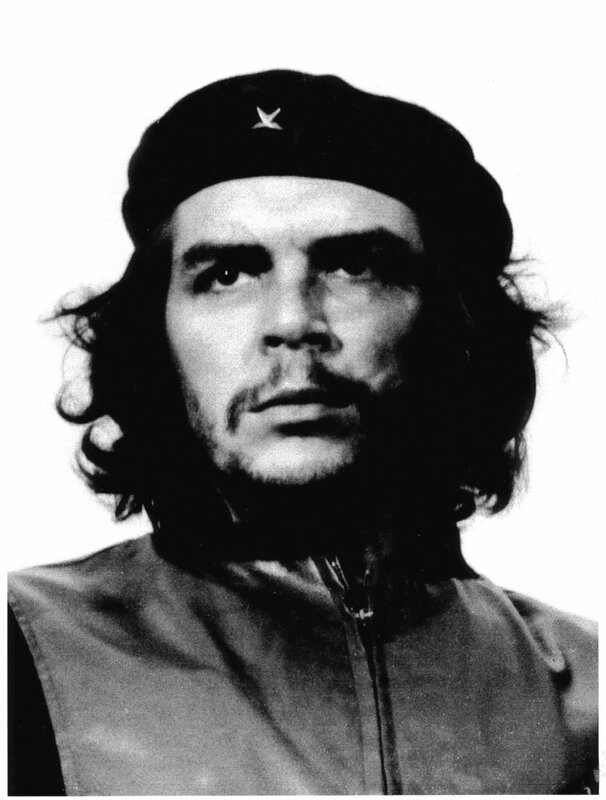 The major influence on the TPF is, however, is the Guerrillero Heroico Ernesto “Che” Guevara (June 14 1928 – October 9, 1967). As a young medical student, Guevara traveled throughout Latin America and was transformed by the endemic poverty he witnessed. His experiences and observations during these trips led him to conclude that the region’s ingrained economic inequalities were an intrinsic result of monopoly capitalism, neocolonialism, and imperialism, with the only remedy being world revolution. This belief prompted his involvement in Guatemala’s social reforms under President Jacobo Arbenz, whose eventual CIA-assisted overthrow solidified Guevara’s radical ideology. Later, while living in Mexico City, he met Raúl and Fidel Castro, joined their 26th of July Movement, and travelled to Cuba aboard the yacht, Granma, with the intention of overthrowing U.S.-backed Cuban dictator Fulgencio Batista. Guevara soon rose to prominence among the insurgents, was promoted to second-in-command, and played a pivotal role in the successful two year guerrilla campaign that deposed the Batista regime. Following the Cuban Revolution, Guevara performed a number of key roles in the new government. These included reviewing the appeals and firing squads for those convicted as war criminals during the revolutionary tribunals, instituting agrarian reform as minister of industries, serving as both national bank president and instructional director for Cuba’s armed forces, and traversing the globe as a diplomat on behalf of Cuban socialism. Such positions allowed him to play a central role in training the militia forces who repelled the Bay of Pigs Invasion and bringing to Cuba the Soviet nuclear-armed ballistic missiles which precipitated the 1962 Cuban Missile Crisis. Additionally, he was a prolific writer and diarist, composing a seminal manual on guerrilla warfare, along with a best-selling memoir about his youthful motorcycle journey across South America. Guevara left Cuba in 1965 to incite revolutions, first unsuccessfully in Congo-Kinshasa and later in Bolivia, where he was captured by CIA-assisted Bolivian forces and executed. Guevara remains both a revered and reviled historical figure, polarized in the collective imagination in a multitude of biographies, memoirs, essays, documentaries, songs, and films. Time magazine named him one of the 100 most influential people of the 20th century. Thee Faction salute W.H. Smith and urge all young folks to be inspired by this inspiring British class warrior. We are not subjects, we are CITIZENS.